Joanne was made redundant as a community fundraiser in 2013, she decided to take a leap of faith and set up her own business “My Life Skills” coaching business skills to new business start up’s. After an interesting time of learning new life skills and growing, she realized she missed out on working alongside a motivated team and fundraising in the community. As that is what she does best, encouraging the community to work together for the common cause! 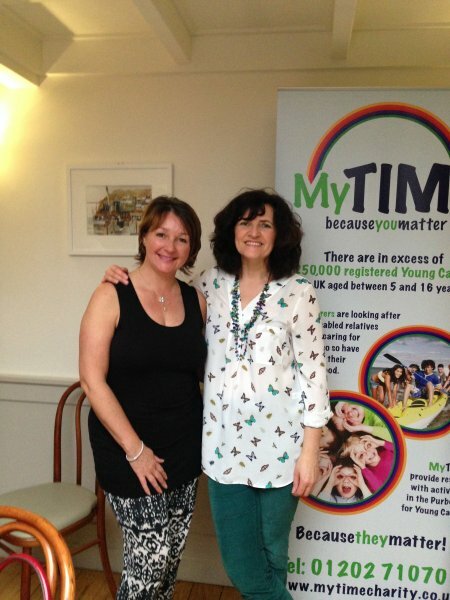 The charity is promoting MyTIME to Swap fundraising events. All you do is bring your unwanted clothes, bags, shoes and you swap - all donations going in the pot! Most women only wear 20% of their wardrobe 80 % of young carers feel they are missing out on their childhood - we want to make sure they do not miss out anymore!